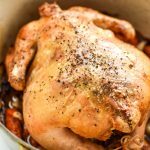 Have you ever used a rotisserie chicken in your meal prep routine? I’ll admit it’s not something I do often, but occasionally when I’m at Costco, I’ll pick one up because the price is SO RIGHT. One rotisserie chicken from Costco will give us at least 5-6 meals worth of main course. The best part? It’s super versatile and can really be used in most recipes where you would normally used chopped chicken breast. If you want, you can even make broth from the chicken carcass to stretch your dollars a little further. Homemade broth is good for anything from cooking quinoa or rice, to making soups and stews or just plain sipping. As the recipe is written, this prep ahead meal would serve a family of about 4. Feel free to adjust your portions or cut the recipe in half to fit your family size. Nachos do not reheat well, so it’s important to only cook as much as you need. It tastes way better to make another batch of nachos from your prepped ingredients than to try to reheat already cooked nachos. Trust me, we tried it and they were still soggy after going back into the oven. 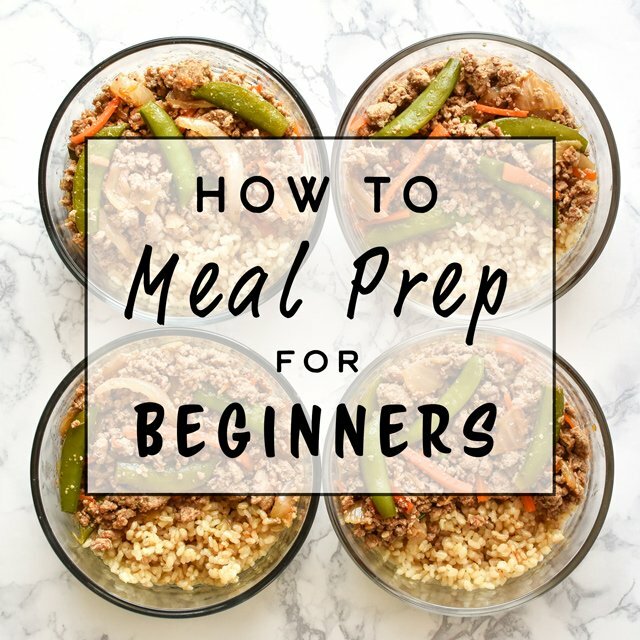 The goal for the ‘prep ahead’ part of this recipe is to have everything completely ready to hit the nacho pan when it’s dinnertime. You can literally grab all these bowls from the fridge and have dinner on the table in 15 minutes. Not a joke. Not a drill. Black beans: Opened the can, drained and rinsed very well, then let them sit in the strainer and drip dry while I prepped everything else. 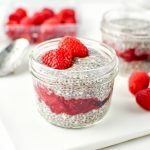 Last, I put them into one of my 4-cup Pyrex Round Glass Containers (affiliate link!). I ended up using 1 cup of black beans but you can go heavier on the beans if you wish. Green bell pepper: Washed, removed the stem and seeds, finely diced, and stored in a 2-Cup Pyrex Round Glass Container (affiliate link!). Jalapeno: Washed, removed stem and seeds, sliced into rounds and stored in a small glass container. Cilantro: Washed, chopped and stored in a small glass container. 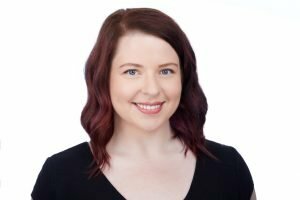 Tortilla chips & shredded cheese: Reviewed nutrition and portion information and stored my desired portions in Pyrex glass containers (tortilla chips do not go in the fridge). This step is not necessary if you don’t care how many chips or how much cheese you eat. Just grab from the bag. Rotisserie chicken: I used half of the chicken from one rotisserie chicken and saved the rest for another meal. This was about 10 ounces, or about 3 cups of loosely packed chicken pieces. I roughly chopped the chicken with a knife into pieces that would fit well on a chip. I lightly dusted some cayenne pepper (about 1/8 tsp) and cumin powder (about 1/4 tsp) over the chicken and briefly mixed the spices into the chicken. I then stored the chicken in one of my 4-cup Pyrex Round Glass Containers (affiliate link!). 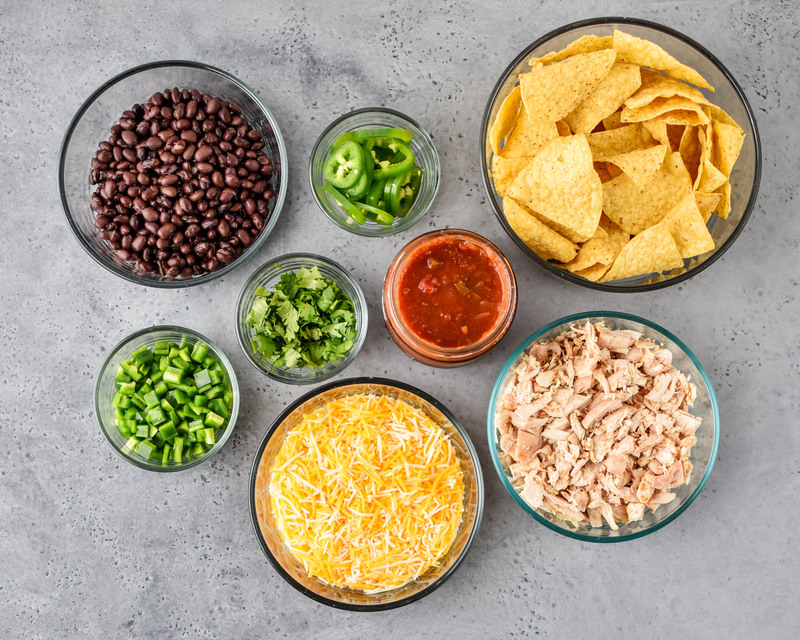 Remember, you can prep whatever ingredients you want for your nachos, or simply prep the rotisserie chicken ahead by chopping and seasoning. 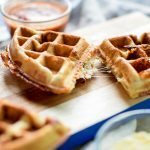 This is just meant to be an example of how to save time with whatever ingredients you are using. 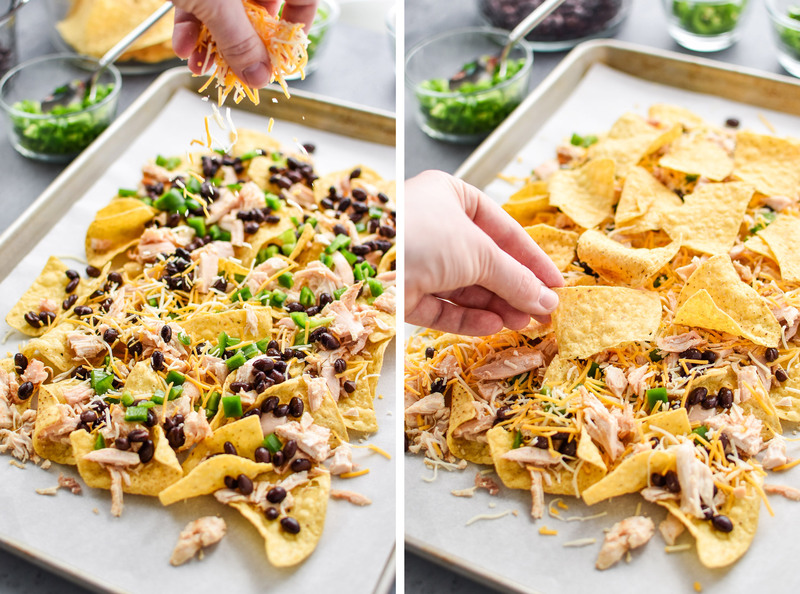 I’m a two-layer nacho kind of person, so that’s how these instructions will go, but you can just do one big layer across the whole sheet pan if that’s what you want to do. 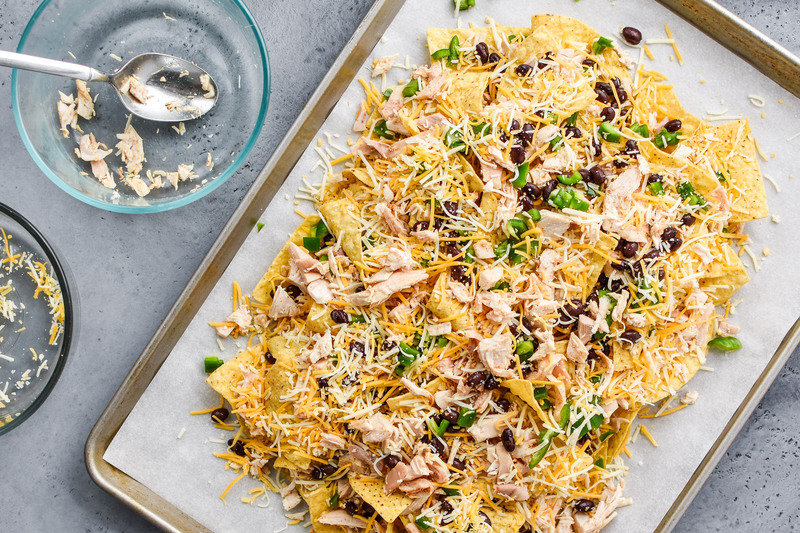 Nachos are pretty versatile and this is just an example. 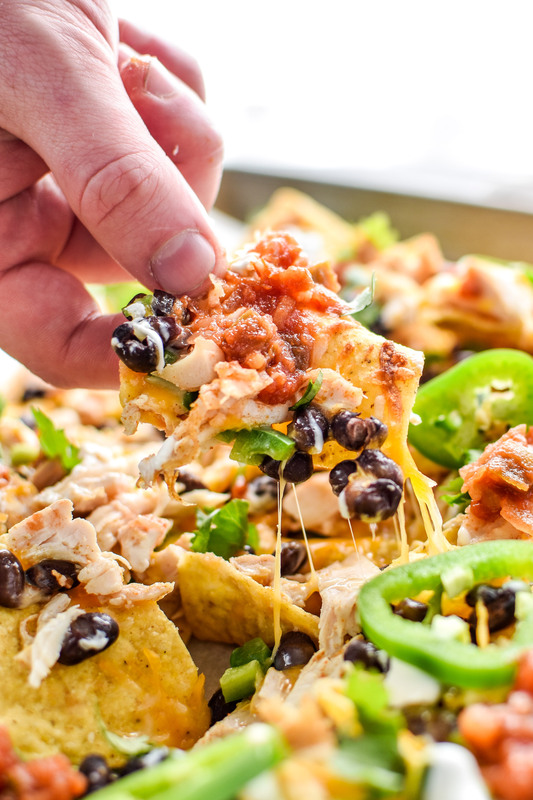 An awesome example of simple double-decker nachos, that is. Line a sheet pan with parchment paper or aluminum foil for quick clean up. Use the large flat chips to form the first layer on the sheet pan, using just over half of the chips. It does not have to be perfect. Next, add your toppings, ending with the layer of cheese. I did chicken, black beans, green peppers, then cheese. You should be using just over half of the toppings you have. When the first layer is complete, semi-carefully place the second layer of chips over the first. Repeat the same layers as the bottom, adding cheese last. I save the jalapenos and cilantro until after baking. Here’s what mine looked like before baking. And then bake! Super easy. And who doesn’t love nachos?? I haven’t personally asked any kids, but as long as the nachos aren’t spicy, kids should like them too right? They could even help with nacho assembly. Once my nachos are out of the oven, I like to add salsa, cilantro, jalapenos, sour cream if we have it, and any other fresh toppings we have on hand. One goal of pre-portioning your nacho ingredients is so you don’t go overboard on cheese or chips. If this isn’t a problem for you, feel free to skip that part and just pull from the bag. Store all your ingredients in airtight glass containers for optimal freshness. 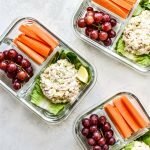 I use these 4-cup Pyrex round glass containers (affiliate link!) and a smaller version, the 2-cup Pyrex round glass container (affiliate link!). Chop your rotisserie chicken into small pieces that fit on top of chips. Think about the size of ground meat (the normal nacho meat topping) and aim for that. 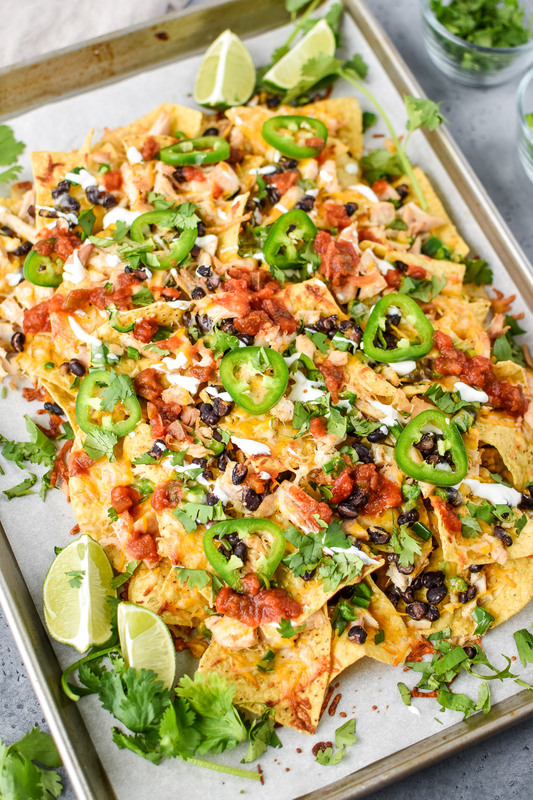 Cook only as much as you plan to eat and do not try to reheat nachos later. It just doesn’t work. 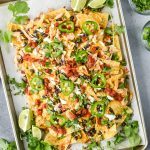 It’s tastier and takes nearly the same amount of time to assemble a new batch of nachos from your prepped ingredients than to try and reheat leftover nachos. 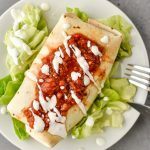 If your sour cream is too globby, mix a small portion with 1 tablespoon of water for a thinner sauce that will go further. Store all prepared ingredients in airtight containers in the fridge and use within 3 days. Chicken: Roughly chop the rotisserie chicken and then place it in a storage container. Lightly dust some cayenne pepper (about 1/8 tsp) and cumin powder (about 1/4 tsp) over the chicken and briefly mix together. Black Beans: Drain and rinse your black beans using a fine mesh strainer. Let the beans sit and drip dry for a few minutes or pat with a paper towel and store. Green Pepper & Jalapeno: Wash, remove stem and seeds, finely dice (bell pepper) or slice into rings (jalapeno). Tortilla chips & shredded cheese: Review serving size & portion information and portion accordingly. This step is not necessary if you don’t care how many chips or how much cheese you you eat. Just grab from the bag when you cook the nachos. Line a sheet pan with parchment paper or aluminum foil for quick clean up later. 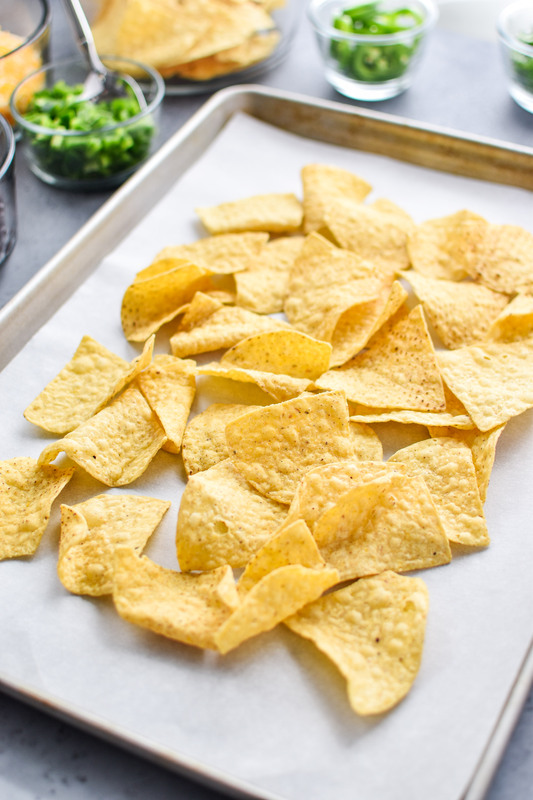 Use large flat chips to form the first layer on the sheet pan, using just over half of the chips. It does not have to be perfect. Add toppings, starting with chicken, then beans, peppers, any other toppings you want, and finally cheese. Use up about half of your toppings. When the first layer is complete, semi-carefully place the second layer of chips over the first. Repeat the same topping layers as the bottom, adding cheese last. Bake for 9-11 minutes, watching carefully towards the end. Top with cilantro, sour cream, avocados, and salsa. Tortilla chips: The tortilla chips I used had a portion size of 12 chips per serving, so I went with about 50 chips total for 4 servings. Serving size will vary based on the brand of chips you use. 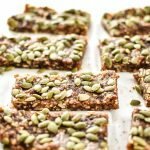 This recipe makes approximately 4 servings. Feel free to cut the recipe in half instead of saving leftovers, as nachos do not reheat well. It tastes way better to make another batch of nachos from your prepped ingredients than to try to reheat already cooked nachos. The goal for this recipe is to use about half the meat of one store-bought rotisserie chicken, saving the remaining meat for another meal. This idea may or may not work for you depending on your family size and the size of your rotisserie chicken. Nutrition information estimated with My Fitness Pal. Calories will be highly dependent on brands of ingredients and amount of toppings used. 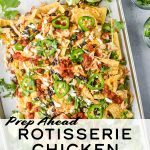 Thanks for checking out these Prep Ahead Rotisserie Chicken Nachos! 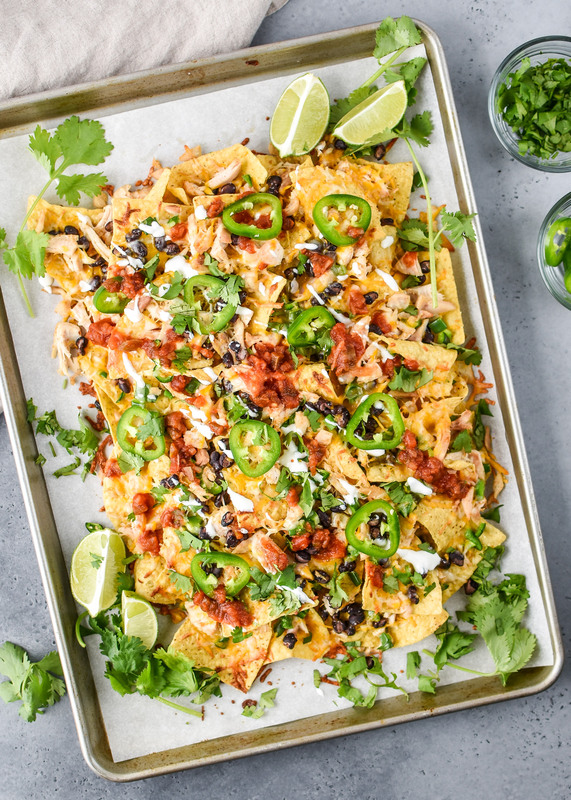 Please tag me or use #projectmealplan on social media to share your nacho creations!